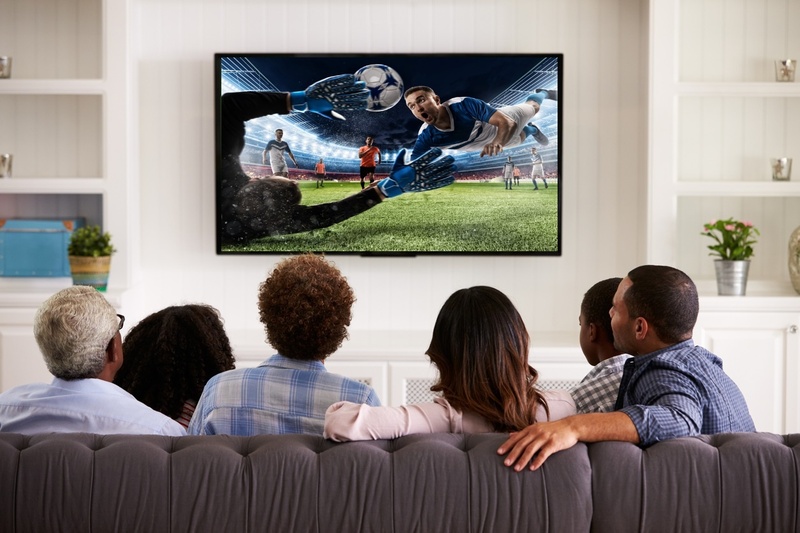 Watching television may seem like a “tune in to tune out” activity, and indeed, it is a way for many people to unwind after a long day at work. However, today’s viewer isn’t looking for mental fluff. Popular shows like Game of Thrones, Stranger Things, and Outlander are driven by strong characters and compelling stories. Rich content is key to success in the broadcast space today. What’s even better than rich content? Try enriched content – broadcasts that are more than just a great show, but also allow viewers to enter the worlds of their favorite shows on their own terms. The Sodyo Marker, a colorful, scan-friendly matrix similar to a QR code, provides an instant access point for viewers to learn more about what they’re watching. 77 percent of the times that viewers watch TV, it’s with another device in hand. This may seem like a problem at first, but what if, instead of seeing multitasking as a problem, broadcasters started to see it as an opportunity? Instead of asking how they can get audiences to stop looking at their phones, it’s time to ask, “How can we meet them there?” Content that is enriched with a scan matrix like the Sodyo Marker helps keep users engaged, rather than cutting their attention loose as they turn to mobile devices to look up the information they want. When that happens, viewers are more likely to turn off the TV or change the channel. Enriched content keeps regular viewers attentive and can also help attract new eyes. Adding a scannable component to content enables fans to explore Westeros, the Upside-Down, and other fictional worlds beyond the people, places and events portrayed within the show. They can learn more about actors, production tidbits, or commentary from creators such as George R. R. Martin (author of the Game of Thrones books) and Diana Gabaldon (who wrote the Outlander series). Scan technology can enrich more than TV dramas. Say the viewer is watching a sports match. He may see a great play and want to watch a replay or learn more about the athlete who made it. Or, maybe he’s interested in sports trivia and trends and wants to learn about the team’s stats this season compared to the past. Say instead that the viewer loves the travel network – and that beach looks really nice right now, what with the winter weather rolling in. Where is that, and how much would it cost for her to go there? A quick scan could tell her everything she wants to know. A scan matrix could even enrich live news broadcasts. Maybe a viewer missed the Oscars and the news only gave a 30-second recap of the ceremony. Scanning could unlock photos and highlights. Or, maybe the newscast covered a tragic natural disaster and the viewer is feeling moved to help. Instead of letting her wander off to her mobile device, broadcasters could make it easy for her to donate with a “Scan to Help” matrix. News anchors don’t have enough airtime to go in-depth on every report, but that doesn’t mean there isn’t more to the story. Letting viewers scan gives them access to deeper, richer information on the topics they care about most. Whatever type of content you’re broadcasting, adding scan functionality can take it to the next level – from “rich” to “enriched.” Click the “Contact Us” button to chat!